A man is driving down the road for a long period of time. During his travel, he sees a priest with a gas can hitch hiking, so he gladly picks him up he says,"Normally father, i dont pick up hitch hikers. You seem like a man of dignity so i thought id make an exception. In fact i hate hitch hikers. 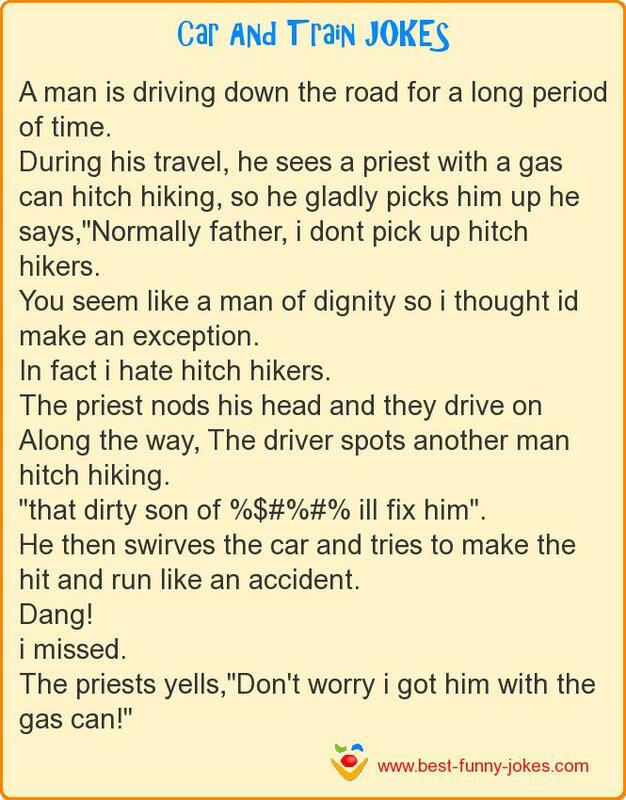 The priest nods his head and they drive on Along the way, The driver spots another man hitch hiking. "that dirty son of %$#%#% ill fix him". He then swirves the car and tries to make the hit and run like an accident. The priests yells,"Don't worry i got him with the gas can!"